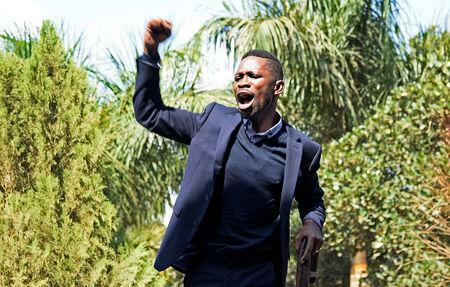 Though a political novice -- he was elected in a parliamentary by-election last year -- Kyagulanyi's popularity has skyrocketed particularly among disillusioned youths who say they see few prospects under the rule of Museveni. "I am resuming immediately ... I am on the mission already, I am on the fight for freedom and liberty already," he said, surrounded by throngs of people. Leaning on a cane, he said his "desire for liberty" was as strong as "the desire of the millions and millions of people in Uganda to be free." Ugandans, he said, were "slaves in our own country". Many of his supporters wore red t-shirts and hats. 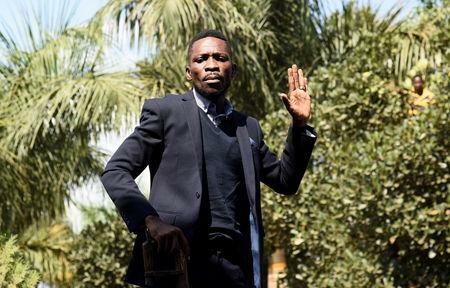 The colour has come to be associated with his "People Power" movement, and demonstrators at Ugandan embassies in London, Nairobi and elsewhere have donned the same colour during protests. 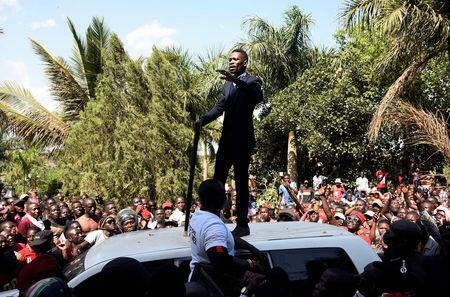 Ahead of Kyagulanyi's arrival, security forces had deployed around the airport and the highway linking it to Kampala to prevent supporters from greeting him. Armoured personnel carriers and police vehicles lined the route and journalists were prevented from travelling to the airport to cover the arrival. Kyagulanyi attracted a youth following through songs critical of Museveni and his status rose higher due to an incident in August in which his driver was shot dead and he was detained and charged with treason over what authorities said was the stoning of the president's convoy.